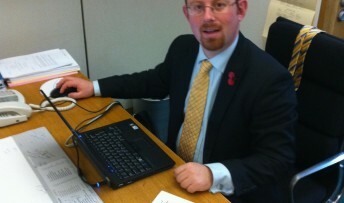 Cambridge MP Julian Huppert has been assured that the government is keen to progress the City Deal as soon as possible. The reassurance came from Deputy Prime Minister Nick Clegg in the Commons yesterday (Tuesday, November 19) after Julian told him that the City Deal would help to continue the city’s success. “Cambridge is a global success story,” Julian said. “Our hi-tech cluster alone has 57,000 jobs generating revenue of £13 billion. “The proposed Greater Cambridge City Deal will enable us to build much-needed housing and sustainable transport to continue that success and generate money for the Treasury. Mr Clegg told Julian that Greg Clark, Minister for Cities and Constitution met councils and those sponsoring the City Deal last week. Julian said later: “The City Deal is so vitally important for Cambridge and I want to make sure this government does everything in its power to push it forward as fast as it can. “We need the huge improvements that the City Deal will bring. New homes and a better transport network will allow companies to bring in the skilled people they need to grow and develop their companies and in turn grow Cambridge’s economy creating more jobs. Cambridge City Council Leader, Tim Bick said: “The prize of this City Deal could be enormous for the area. I must say our local negotiating team of the three councils – City, District and County – along with the University and the Local Enterprise Partnership, is working really well together.